Zixin is a childhood friend whom I have known for 20 over years. Unfortunately, a week ago, he had a bike accident and has left us.. This post is to remember this great friend I had, this great friend I have lost. 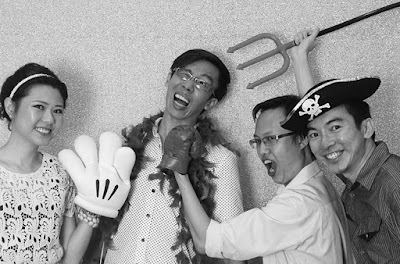 Zixin - Second from left. Taken at my wedding photobooth. In 1990s, a group of us, still kids, got to know each other on the streets of Yishun. We played badminton, catching, biking, and a very big activity in our lives - video gaming. Zixin absolutely loves video gaming. He would gladly invite us to his house to play every weekend, and many times over late night. Many new friendships were forged in his room. Most vividly are the 4-players PS games such as Bomberman and Twisted Metal, where we would destroy one another for hours. All thanks to his multi-tap. Our regular gaming activity continued for many years, including War Craft, DOTA, Diablo 3 in 2012, and lately Clash of Clans. His skills is so good, such that his nick is comendefeatme. Zixin is a joker. He always brings fun and laughter, many times by cracking lame jokes. Many times we have to roll eyes over what he said. But it is all good fun. I have never thought about this, but now that I think about it, the main reason I have clicked well with Zixin is because of his good nature. Zixin never gets angry, never gets pissed of. In fact he dislikes (and afraid) quarrels. He is a very good nature fellow, and it is impossible to have fights with him. I have lost touch with many friends, but it is funny that I have always been in touch with Zixin regularly, for over 20 years. I think a very important way of maintaining friendship is to help each other, even for the small things. Zixin has thick skin, and is never paiseh to ask for help. 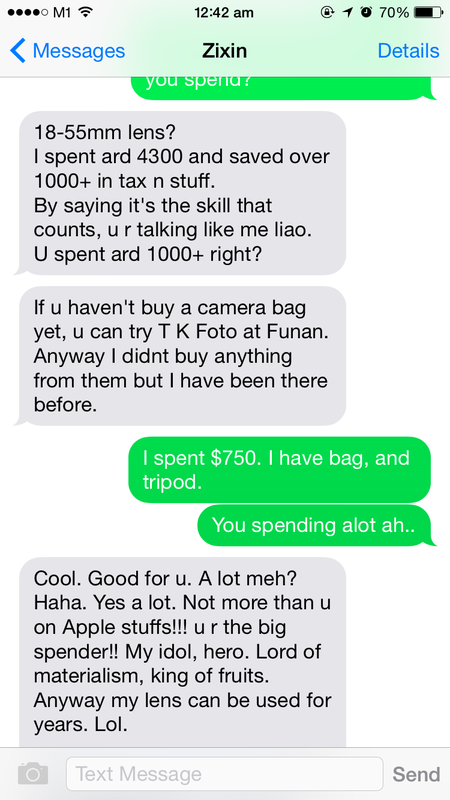 He would ask me to help for very trivial stuff, such as borrowing SAFRA card so that he can go swim for free. The smaller the help you can get from a friend, the stronger is the relationship. On the contrary, if you are paiseh to ask a friend for a help, then the relationship is not strong enough. To make stronger, you just have to be thick skin and ask, and in the process of helping one another, the relationship strengthens. Zixin is selfless. He would lend me his car, and when I need a camera man for my proposal music video, he gladly helped. He would zealously share good movies, drama and animes. 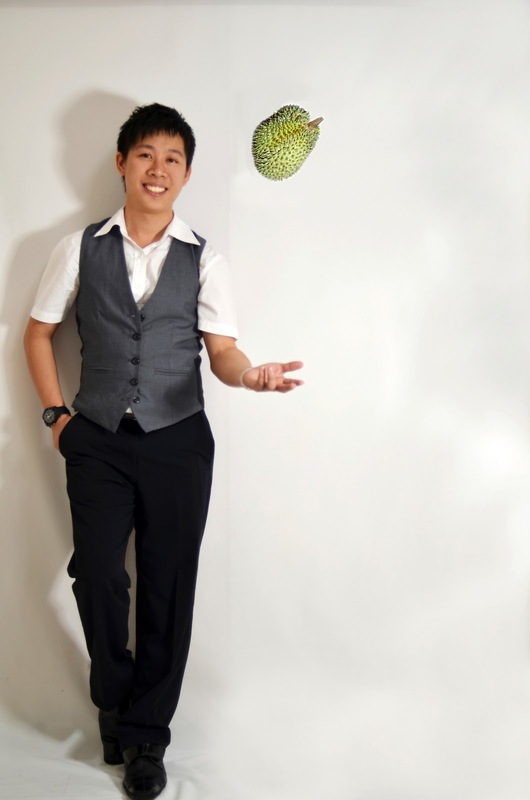 Zixin is a good interesting chap - frequently asking for help, and also frequently help. He was the cameraman who helped to shoot my Music Video (MV) back in 2012. 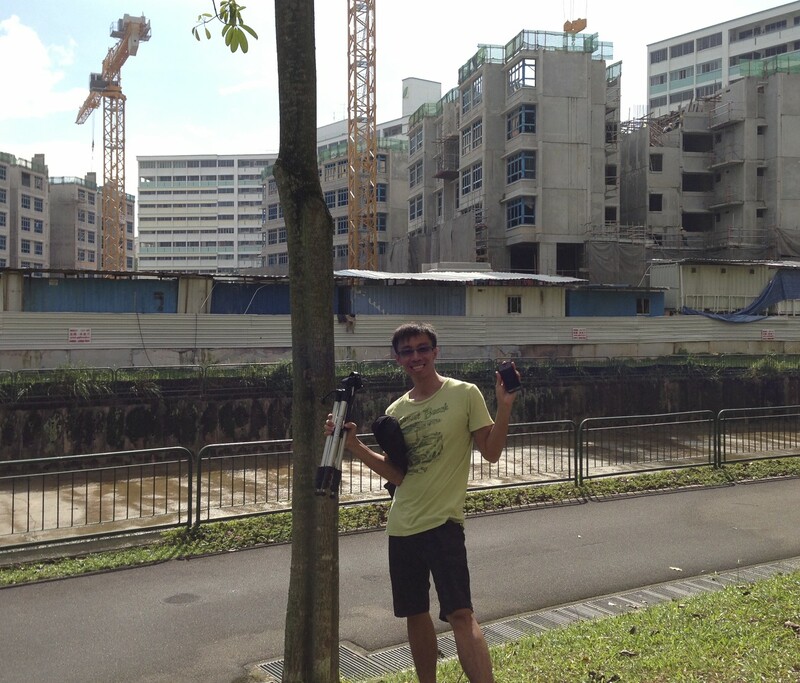 It took 2 days of shooting around my new Yishun estate, using both DSLR and iPhone. It was a great help. A memorable video we created. Every now and then, I would ask him of his new interests. That’s because he always pick up new interests, get very serious into it, then move on to another. Last few years he picked up Japanese, running, photography, and Salsa. Taking photography as an example: In 2012, he bought a high end DSLR (D7000) with some expensive lenses. I was into DSLR at the same time, but he spent $4300, while I spent only $750. He will learn everything about photography, and even attempt to shoot models, and do the photo editing himself. I really admired his courage to learn new stuff, jump right in, deeply, from the start. He has courage and the thirst to become the best. His first job is signing on with police force. He claims he wants to protect us. After finishing the bond with police force, he became Prudential agent. He claims he wants to protect us with good insurance. In the last 5 years, he was doing odd jobs. Never 9-5, never desk bound. One of the regular job is in a DNA business, him being the Singapore sales representative. I guess he enjoyed freedom, being creative, and enjoyed trying different things. I shall not mention the other very interesting jobs he had. A job to him was not about money. But it is not that he don’t want to earn big bucks. He talked about running business with me a few times - selling yoghurt and his app ideas. We never worked together, but I thought, one day, we just might. And he has guts with investment. While people usually diversify, he will put all in 1 basket. He says if he has confident that is the best, there is no need to spread risk. I will always remember going to Yishun condo showrooms with him. There is so much more I could tell about his life.